Crepes are popular all over Paris and, more recently, all over modern cities around the world. 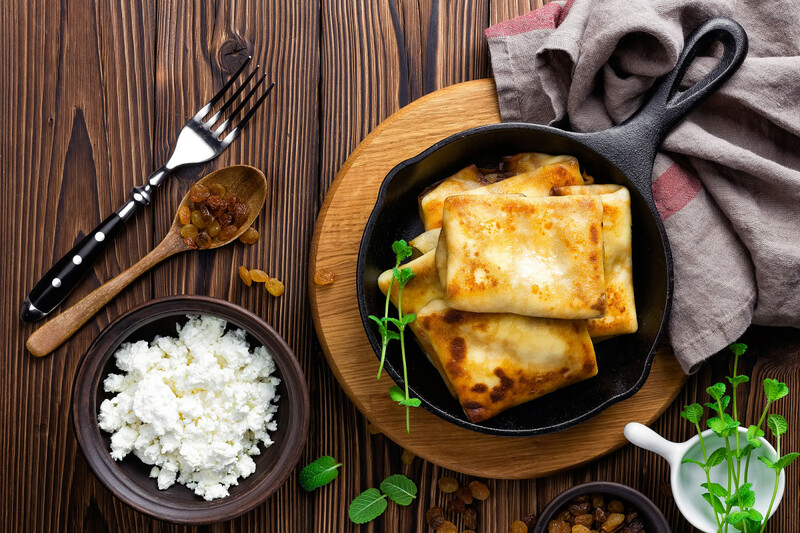 The classic crepe has always been made with butter and sugar; however, the following crepe recipes are inspired by the classic cheese blintz. I decided to draw from Italy for my inspiration and substitute mascarpone for cream cheese. Mascarpone is much more delicate, with a subtle sweetness, and is lusciously creamy. 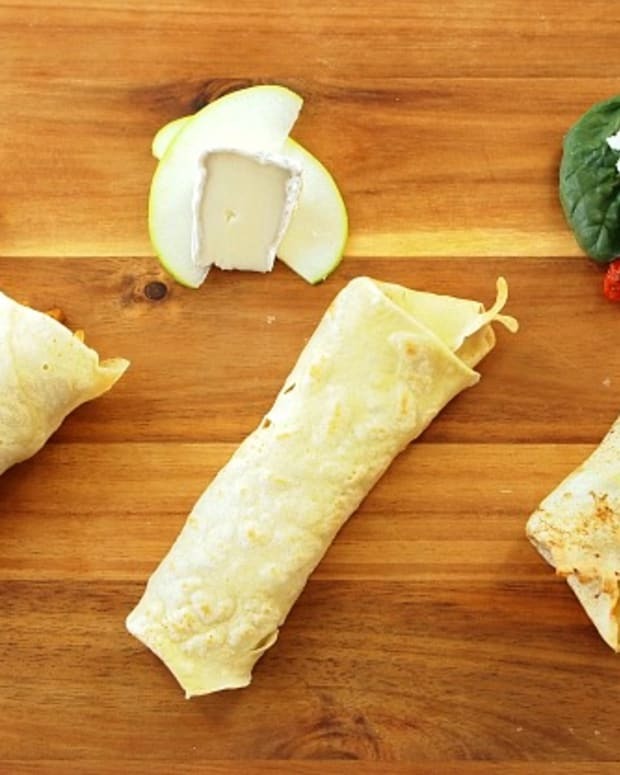 Have a party and let everyone craft their own crepes. 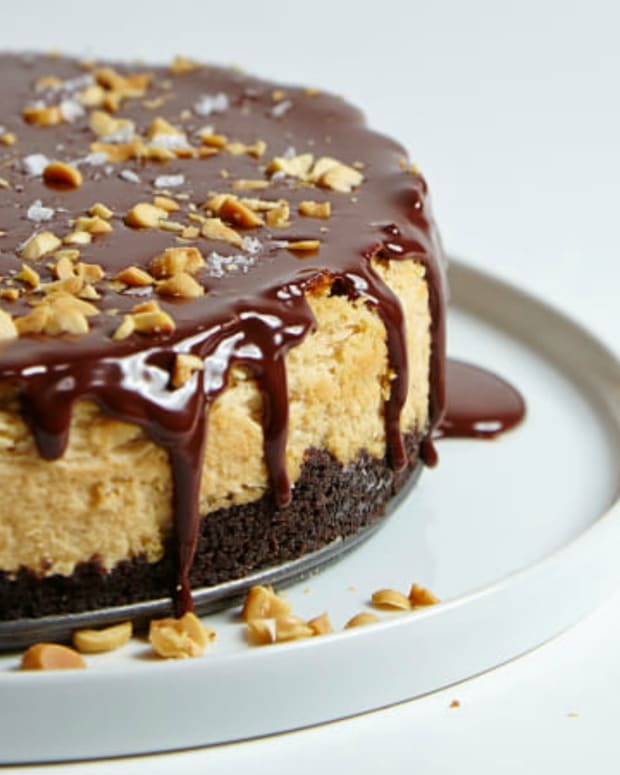 Here are 8 recipes for inspiration, 4 sweet and 4 savory. 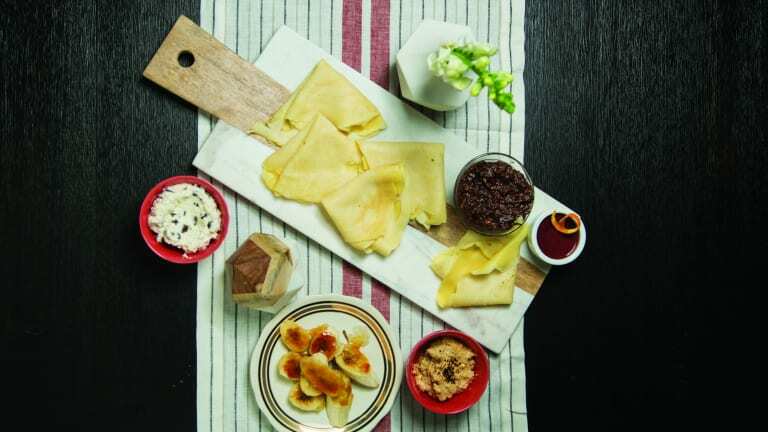 Prep the crepes ahead of time or buy premade crepes, set out all the filling ideas and let the party begin. If you&apos;re not sure how to fold them up, check out our folding technique here. 1. 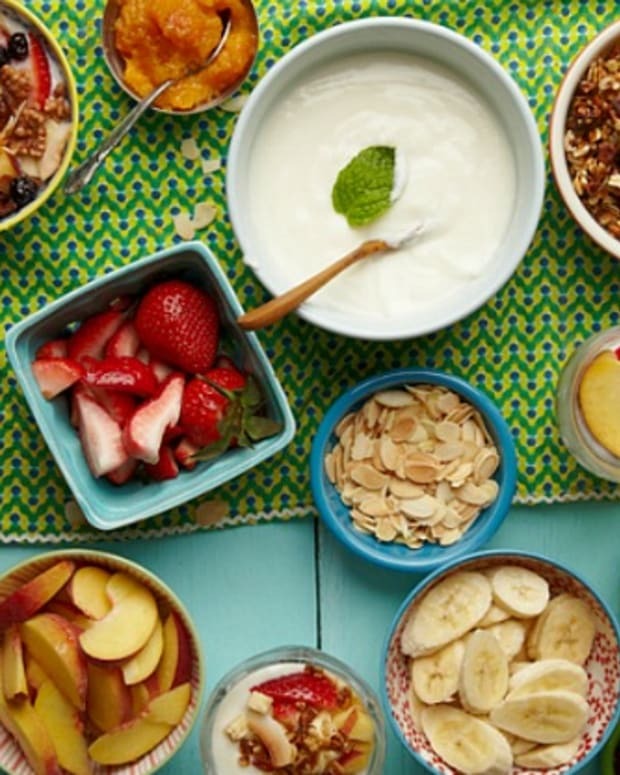 You can serve crepes on a platter with your choice or choices of filling in small bowls so your guests can make their own crepes. 2. Choose one flavor (or more) and form either traditional blintzes or fold into a triangle (see folding technique). 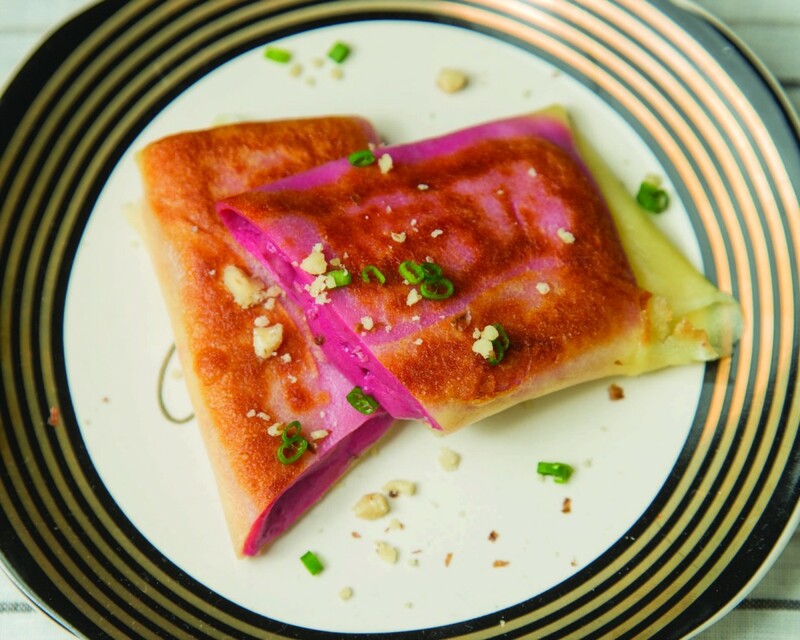 Fill center of crepe with 2 tablespoons of filling, fold right side towards center, bring up bottom edge, fold left side towards the center and seal by bringing top edge towards the center of the crepe. Serve immediately or freeze in airtight container for later use. 3. 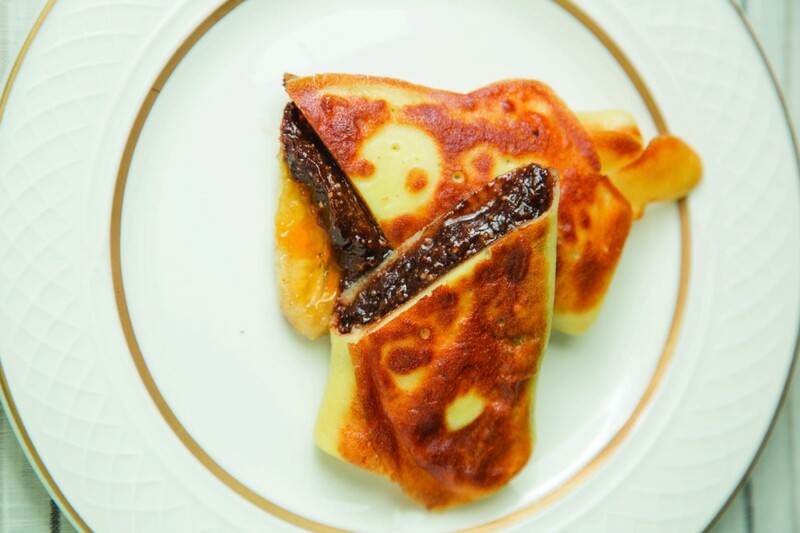 Once blintz is formed, you can serve as is, or pan fry until golden. 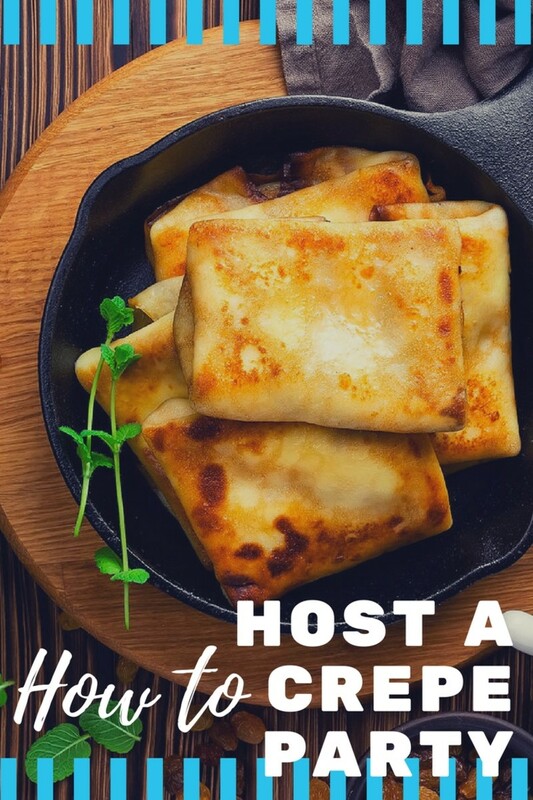 If you choose to pan fry, heat 2 tablespoons canola oil and 1 tablespoon butter in a skillet on medium heat and pan fry crepes for 2 to 3 minutes per side. Crepes can actually be used with any kind of filling you can think of, but first you must master the basic crepe. 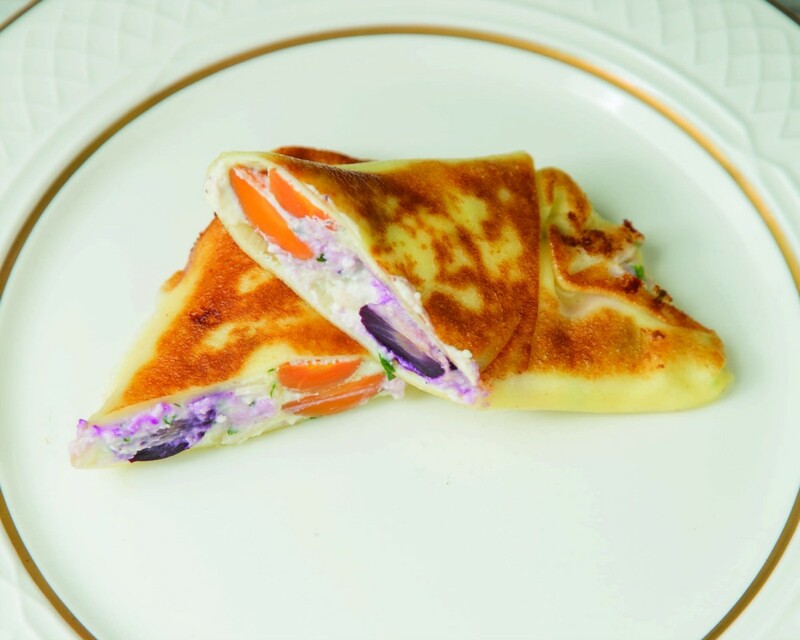 Traditionally, savory blintz options were limited to a creamy potato filling. 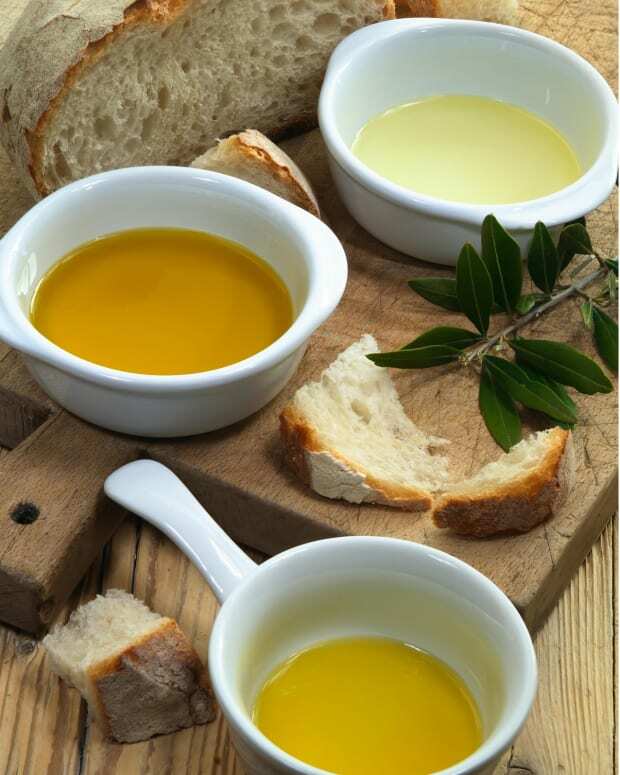 Here we share some modern options that are sure to impress. This all-purpose savory filling is good all by itself or paired with sautéed mushrooms, caramelized onions, cheese, spinach, or your favorite veggies. 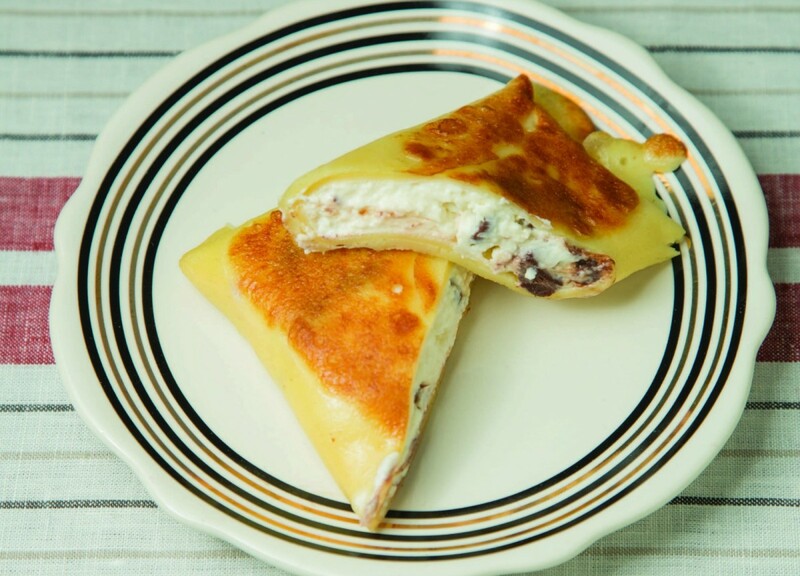 Mix a basic ricotta filling with colorful, flavorful beets and turn your blintzes into a meal. Give your crepes an Italian flare by cooking up some tomatoes and basil to mix with your basic ricotta filling. 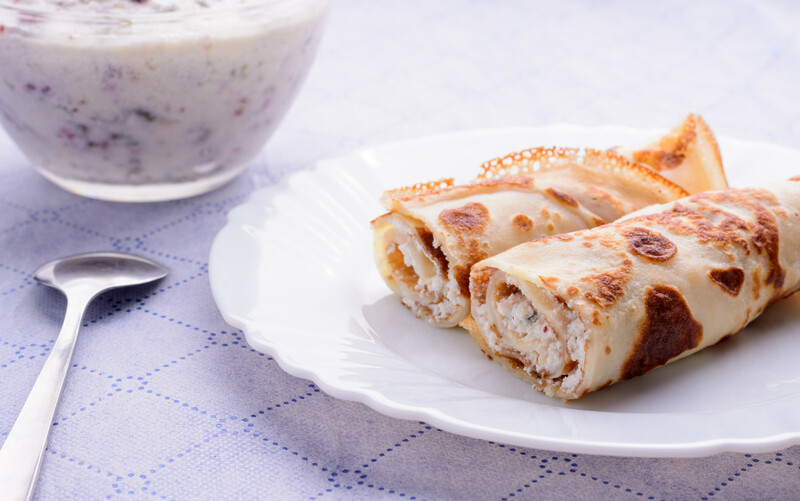 This crepe is like a French burrito, filled with a spread of ricotta and then roasted carrots. The basic sweet filling will be 1 cup mascarpone cheese, whipped, with a quarter cup confectioners’ sugar and 1 teaspoon pure vanilla. If you cannot find kosher mascarpone cheese you can make your own by combining 8 ounces cream cheese with a quarter cup dairy heavy cream. 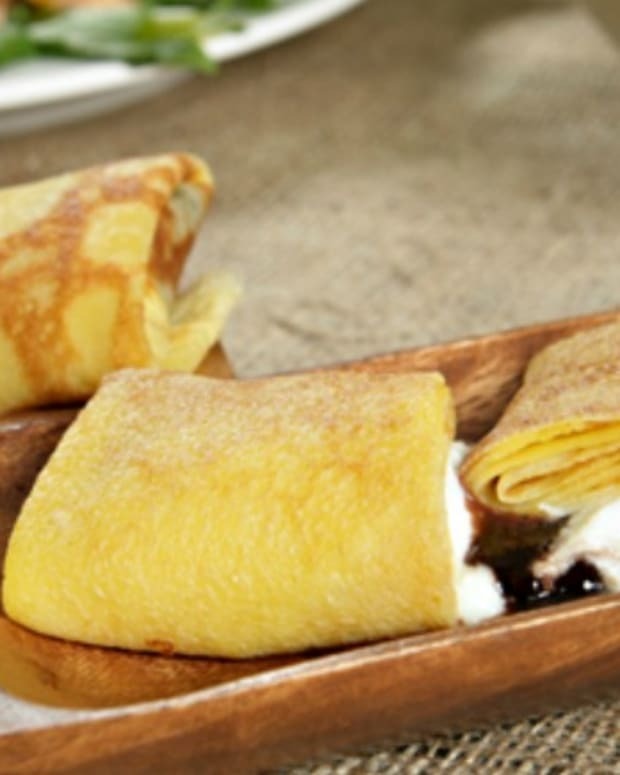 Dessert crepes are the best way to end a meal, and this version will even satisfy your chocolate tooth. 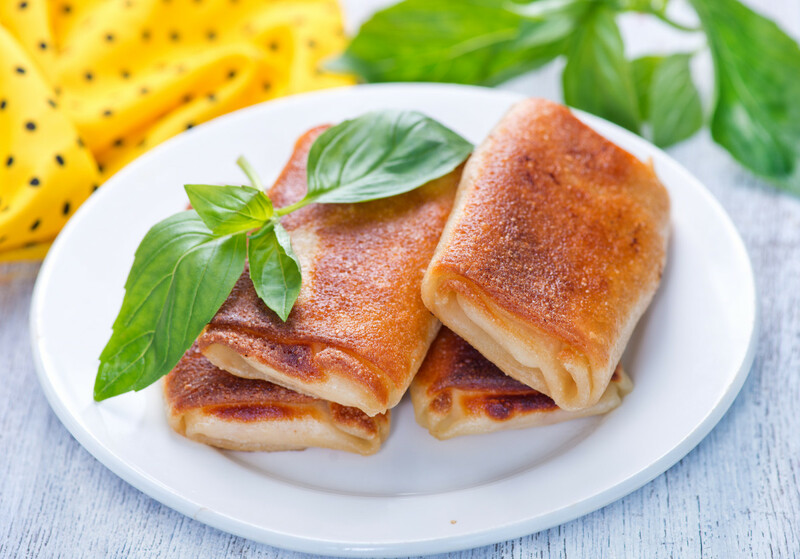 Nutella is a classic crepe filling and you can find it everywhere as a favorite filling choice. 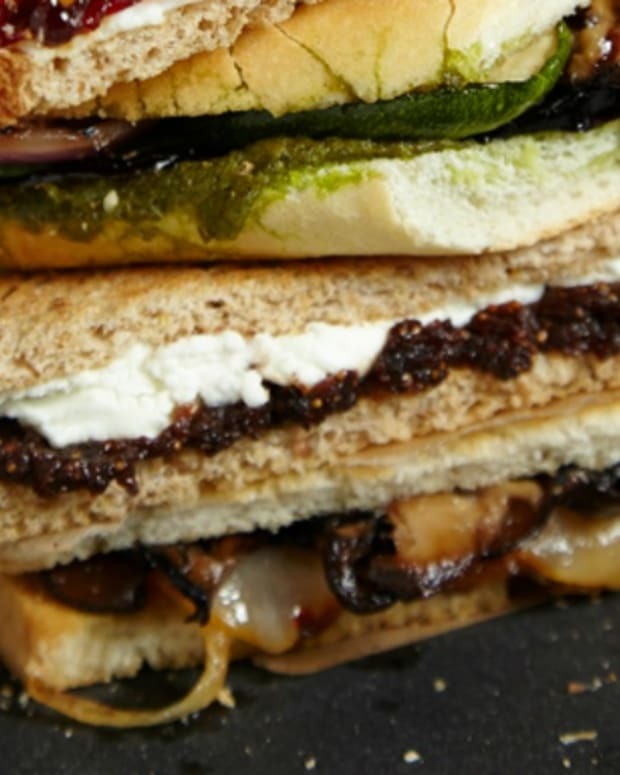 In our version we mix it up with some mascarpone and top it off with a caramelized banana to really take it over the top. 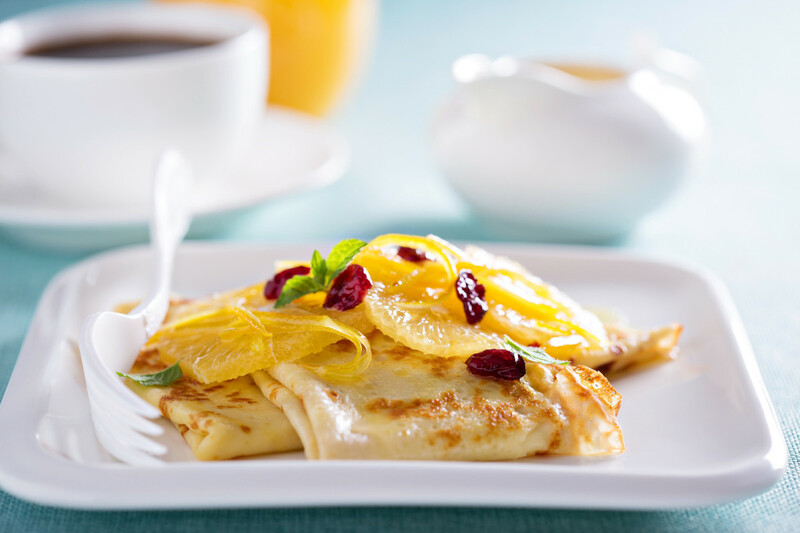 This crepe recipe combines the flavors of cranberry and orange with a creamy mixture you will love. A play on the traditional Italian classic. 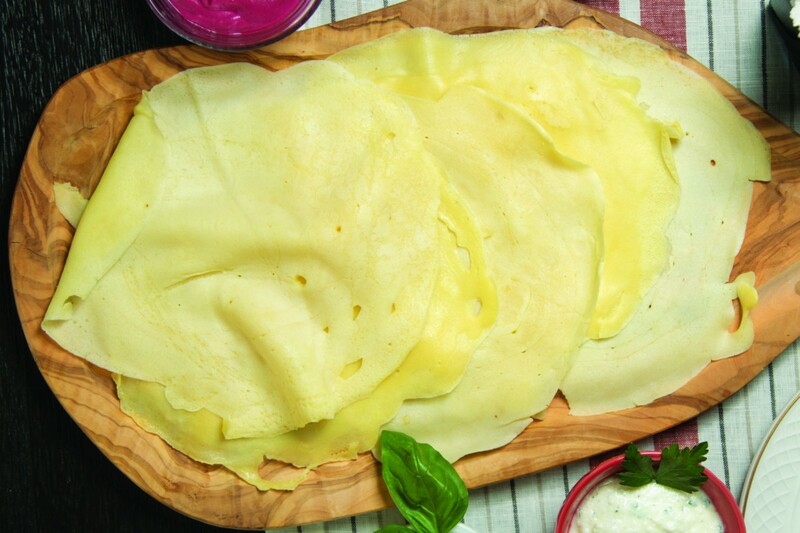 What do you like to fill your crepes with?